There are some interesting things happening east of the Don River, including several properties on the East Don Roadway being revitalized, Jilly’s being turned into a hotel and a large number of mid-rise condos going up. 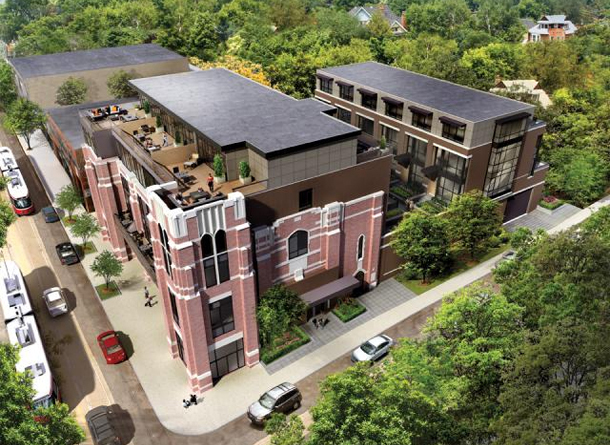 One of the hottest developments will be a six-storey building at 796 Broadview (assuming the plans are approved) as it would have just 30 units and be steps away from Broadview subway station and have access to all the great shops and restaurants on the Danforth. The unfortunate thing is that we would be losing a number of rental apartments on this strip, but hopefully as part of the city’s approval, they will require a percentage of units to be set aside for rentals. However, with ground floor retail, it could bring life to this strip of Broadview, which is pretty sleepy right now. If you’re curious about the other developments happening outside the core, I encourage you to click through to this post by UrbanToronto. Buildings like The One may create headlines, but real livable spaces are being built in the east end.